WHAT IS REVIVAL? Christians respond with different answers to this question. The first type of revival is within our own heart. It is when we seek after God with a reckless abandon, and His presence becomes stronger in our lives. When Moses was on the mountain of the Lord, all of the Israelites were invited to come up and experience more of God. But the Israelites were afraid; they saw thunder and lightening and were not willing to climb the mountain to God’s presence. Many people do not want to bother climbing higher into the love of the Lord. They are content at their current level of faith. They are comfortable with praising God on Sunday, and will not seek Him in the night, or hunger for Him hourly or even daily. Many revivals demonstrate a hunger in the hearts of all who attend. They want more of the Lord’s presence every day. When we walk into this kind of atmosphere, we can feel the tangible presence of the Lord. The Bible says the Lord inhabits the praises of His people. What a sweet place, a revival of heart. Another type of revival is repentance. In the early Salvation Army people lined the altars weeping and crying out in repentance. Hundreds of thousands were changed and became dedicated to living a holy life. This was a move of the Holy Spirit convicting of sin and restoring holiness. There have been many revivals that demonstrated this. Some people carry this anointing of repentance, and when they preach or walk into factories, people repent in tears. On the day of Pentecost, Peter addressed the crowd and over 3000 men were saved in a day. They repented and were baptized. We need a revival of repentance in our nation. Another type of revival is when the gifts of God’s healing are demonstrated. Many ministers with the gift of healing draw crowds and the Lord heals thousands of people. One example was John G. Lake; he had 300,000 documented miracles recorded through his ministry in Washington State. The greatest Biblical example of this is the ministry of Jesus. Wherever Jesus went crowds gathered, He healed the sick and cast out demons. He was a walking healing revival. There are many people who practice this by praying for people they encounter in their daily walk. God is healing thousands though people willing to live a life of revival, sharing the gift of God’s love through healing. Many receive a revelation of God’s great love for them and salvation. Revivals may have other manifestations of God’s presence. Some people complain when a revival meeting has a manifestation that is unusual. Some of these manifestations are not of God, but many are. We have a God who chooses to do the unusual. He gave Moses a staff that turned into a snake. He performed 10 plagues that were definitely strange. He spoke to Moses through a bomb fire bush, He fed the Israelites with food that dropped from the sky. If God chooses to do something unusual, are you willing to challenge Him? Excuse me God, but I don’t think you should have multiplied bread. It is unusual and defies my understanding of physics. Come on, we have to let God be God, and quit putting Him in a box. At Pentecost, the people acted out in abnormal behavior. They were accused of being drunk. Peter responded, “It is only 10 in the morning!” Their actions (what ever they were) gave people the impression they were drunk. Another verse says, “Do not be drunk with wine, but be filled with the Holy Spirit,” or “His love is better than wine’ (Song of Solomon 1:2). Sometimes people who are filled with the Holy Spirit may have unusual behavior. That is what happens when you attempt to contain the energy, love and power of the God of the universe within your mortal body. Sometimes it is overwhelming. The same Spirit that raised Christ from the dead lives in us (Romans 8:11). That is resurrection power coursing through our veins. People of the world are drawn to superheroes with superpowers, but we have the real deal. Christ in me the hope of glory. What if we just inviteD the Holy Spirit to come and do more in our life? What if we agreeD He may do whatever HE wants to do? 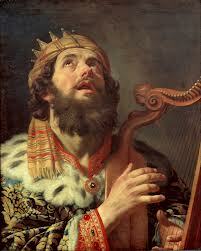 What if we were willing to dance wildly like David did when the Spirit of the Lord came upon him? What if we were willing to shout, sing, shake, or groan? What if we were willing to love, to repent in tears before a crowd of people? What if we were willing to prophecy, to laugh filled with the joy of the Lord? What if we prophesied or prayed for the person in the grocery store? What if we hungered for the things of God instead of our flesh? What if we cried out for more of His presence until He showed up? What if we totally surrendered and let HIM lead the meeting, and our life? Previous WHAT DO YOU CRAVE?